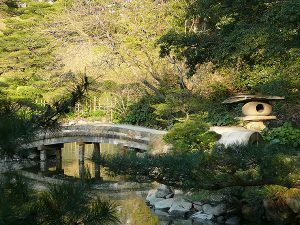 To begin to understand and appreciate the gardens of Japan there is a need to understand the culture that gave rise to them. Gardens are not an isolated product of a country but the result of its historical, cultural and even geological development. It is therefore necessary to have an appreciation of Japan and the Japanese culture along with influences from abroad that have played a part in shaping the gardens to fully appreciate Japan’s garden tradition. Jill Raggett is a Reader in Gardens and Designed Landscapes at Writtle College, Essex, and works in the Writtle School of Design. She is also an Adjunct Professor at the Dalhousie University, Canada, and recipient of a National Teaching Fellowship awarded by the Higher Education Academy for innovative methods of enriching student learning. Her working life started as a gardener at the Royal Horticultural Society’s Garden at Wisley, and later at the Savill Gardens, Windsor. After completing a horticultural qualification she became a lecturer and now spends more time ‘growing’ minds than plants. Jill specialises in plant use, the restoration and conservation of historic gardens and the relationship between the arts and the designed landscape at both graduate and postgraduate levels, and the tutoring of students undertaking PhDs. She has travelled internationally looking at designed landscapes and readily admits that gardens-and-students was a great career choice. Jill has researched the history of horticultural education, and for her Doctoral thesis the emergence of the Japanese-style garden in the British Isles. 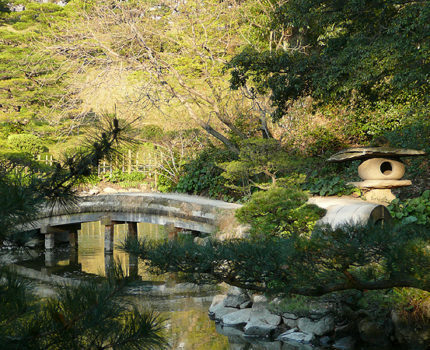 This has become her specialist area and she works collaboratively with the Japanese Garden Society (UK) to research, record and promote the value of historic Japanese-style gardens in the British Isles. She happily shares her knowledge on a range of issues concerning Japanese-style gardens with private owners, County Gardens Trusts throughout the British Isles, the Scottish National Trust, the Japan Society, the Japanese Garden Society (UK), the Garden History Society and botanical gardens. Jill is published in Shakkei (the Journal of the Japanese Garden Society) and has contributed chapters in the Japan Society biography series.